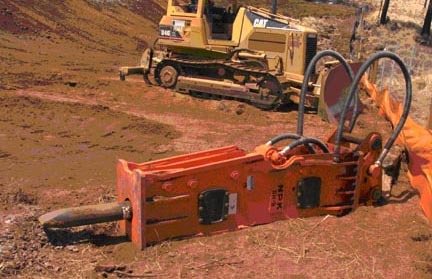 The Hawaii Police Department is asking for the public’s assistance in locating an MPK Hydraulic Hammer taken from a construction job site in South Kohala. The hammer has been missing since March 3, 2007. It can be used only with a large construction crane or similar piece of equipment. Police ask anyone with information on the whereabouts of the hydraulic hammer to call Detective Kenneth Quiocho of the Area II Criminal Investigations Section at 326-4646, extension 281, or the Police Department’s non-emergency number at 935-3311.